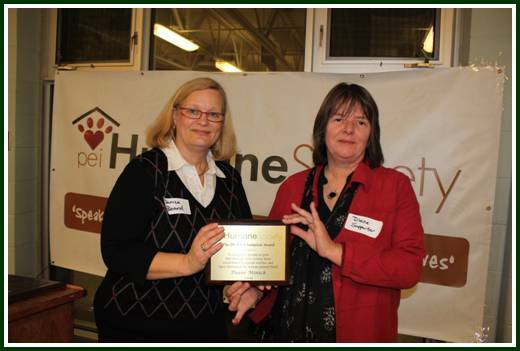 In 2010, the recipient was long-time CAT member and volunteer, Glenda Carver. And in 2011, the Dr. Els Award went to Joy Tremblay, another founding member of CAT. 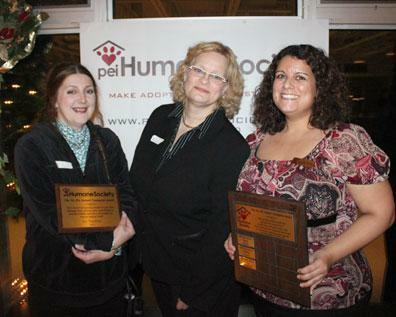 Below, Joy poses with Janice Petley and Lisa Hashie of the PEI Humane Society.